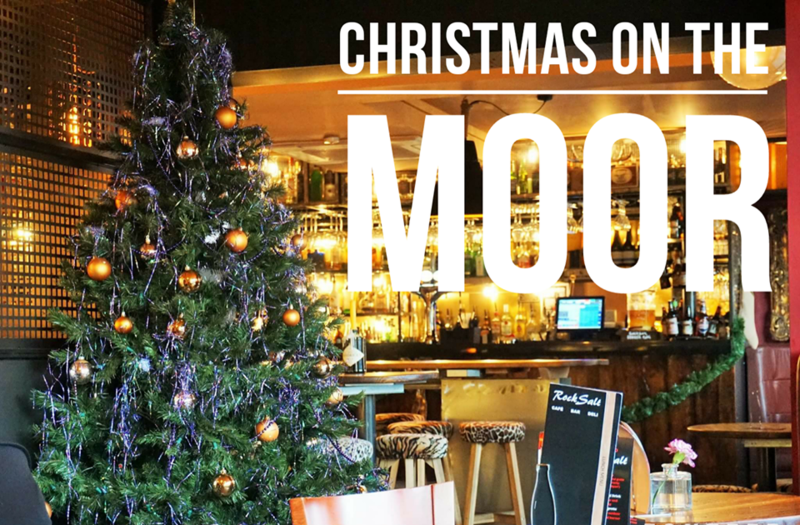 On our 10th Blog of Christmas: Christmas on The Moor. You know how excited we get when it comes to visiting home. We miss little old Stockport terribly when we are away in America, so it's always lovely to come back to comfort and all the cozy familiarity that we love so much from the town we grew up in. Over the seven years that we have been away many things have remained the same, but there have also been some new additions to home that have made us eager to wake up bright and early and experience all Heaton Moor has to offer. Today we share with you how to enjoy Christmas on the Moor! If you are looking for a cozy spot for breakfast or the perfect place for a coffee and catch up with friends, Rocksalt is the place to go. The décor is elegant and stunning, with gorgeous wood finishes, twinkling lights, retro artwork, candles and bright green plants. The minute you walk in it feels homey and warm. Not only that but you are greeted by a lovely selection of products to purchase, which includes Italian biscuits and cakes... therefore you know it gets an extra gold star from us! There is a dinning area complete with booths to the left and a bar to the right, with lots of seating. They also host a lovely outdoor seating area too, which we imagine is going to be a hotspot come Spring. 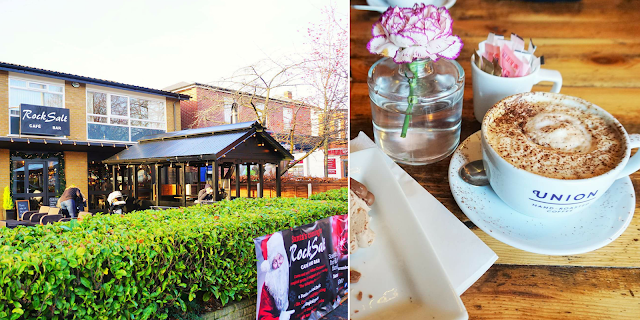 Now, Heaton Moor isn't just home to some awesome dinning spots, it is home to some cool and unique places if you fancy doing a little shopping too. From the cutest gift and card shop 'Belly Button,' to trendy clothing boutiques like 'Empire,' to the only jewellery shop you should be shopping at 'Victoria Highfield', Heaton Moor is a great place to support local, family run businesses. You will never find us buying jewellery anywhere else. If you want quality and something that is unique to you, in addition to someone who truly cares about what you are buying, then Angela at Victoria Highfield is who you need to see. So you've warmed up with coffee and breakfast and you've done a little shopping, now it's time to tuck into some fine British grub. The Moor Top pub has been a staple in Heaton Moor for many, many years, but recently underwent a menu revamp and we have to say it's a winner. Last time we were home we enjoyed a few family nights there digging into Pizza and playing darts. It's got a great atmosphere, with the buzz of people enjoying themselves, whether they are chatting by the bar or playing pool, or families enjoying dinner together. As well as the pizzas, we would also recommend the Cheese and Onion pie....Yum!! :) It's typically British and just makes us feel happy and at home. You're full of scrumptious food, all your shopping is done and now you're looking to put your feet up and relax. That and you're in the mood for some entertainment, the night is still young after all. Lucky for you, you don't need to go far. 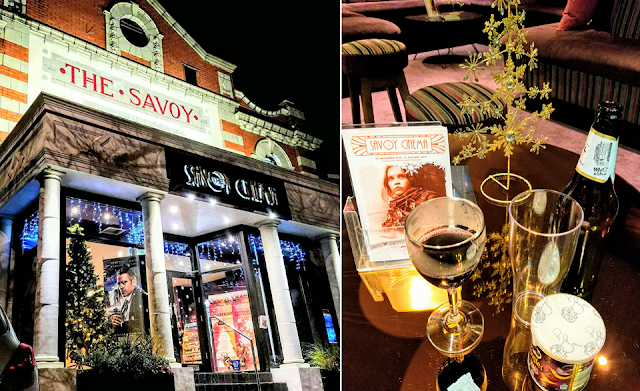 One of our favourite revamps to have happened on Heaton Moor in the past year is that of the old Savoy Cinema. We grew up going to this place and when it closed were terrified of them tearing it down. It holds so many awesome childhood memories and we just loved that it was an alternative option to the big chain cinemas. Needless to say, we were thrilled when the new owners took over and completely transformed the place. It's the epitome of cozy and comfy, plus they do mulled wine at Christmas...yes you read that right, you can have wine and beer while you watch your movie, or coffee and tea AND you can have cake as well! It's honestly magical! We adore it! :) Oh and the family who own it are wonderful! Are there places in your hometown that you just adore?